Alexander Rose Monte Carlo Casual Dining Modular Sofa: The Alexander Rose Casual Dining Modular Sofa has been designed to be used as part of a Monte Carlo corner modular sofa set. The Monte Carlo Sofa has been designed with either a left or right hand arm rest with an angled side on the left or right where it will join the other sofa modular to create a corner sofa piece. 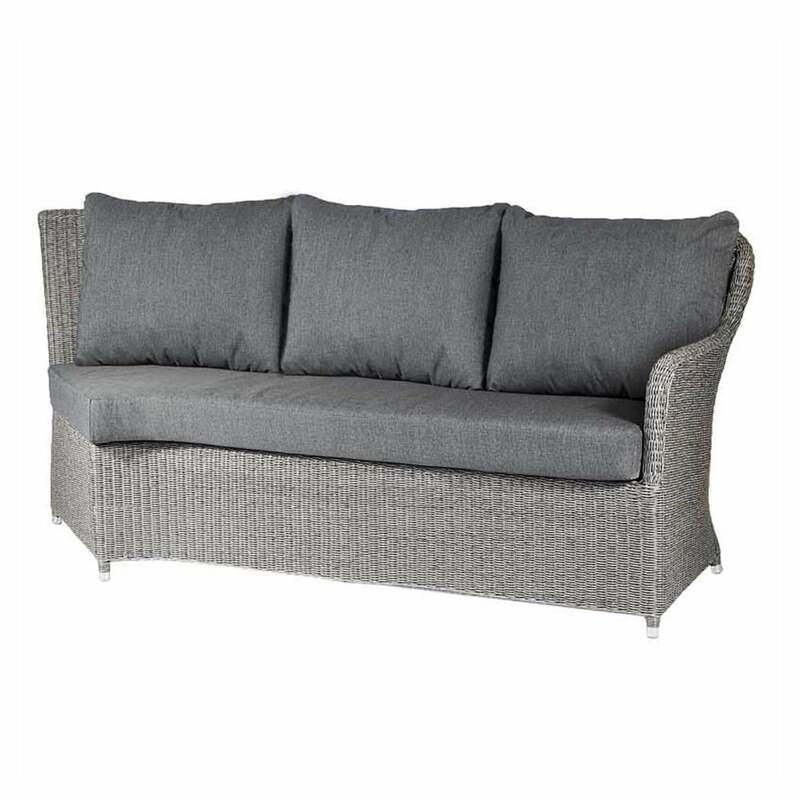 The Alexander Rose Modular Sofa includes padded seat and back cushions in charcoal grey to complement the mid grey weave and will provide ample support and comfort whilst relaxing outside. The Monte Carlo Casual Sofa has a traditional basket weave pattern using round 3mm synthetic rattan fibre and powder coated aluminium frame for a rust resistant design.